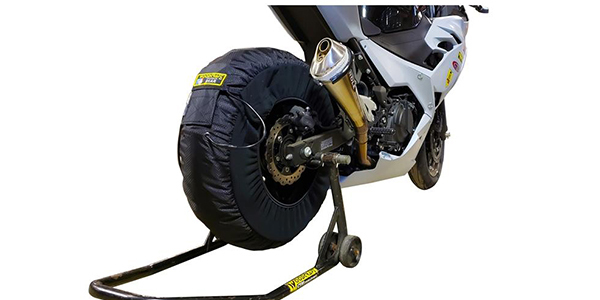 The Woodcraft Gen 3 Tire Warmers now come in sizes to perfectly fit bikes with a 130-150 series rear tire. 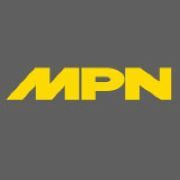 These will fit several models including the Ninja 300, Yamaha R3, KTM RC390 or any bike running a 130-150 range rear tire size. These warmers feature all the same great quality that you expect from a Woodcraft tire warmer, just in a smaller package. The warmers are hand stitched in the USA with tough, temperature resistant Nomex thread. They feature a Ripstop Nylon tough yet flexible shell that will stand up to the rigors of the race track. A Polartec Windpro Fleece is a tight knit curtain that blocks 95 percent of the heat robbing side winds and offer up to a 15 degree increase in rim temperature. Woodcraft keeps safety in mind with the exclusive Quick Disconnect that cuts the power as soon as you remove the warmer and offers even heat distribution between the heating coils. The warmers have a durable dual temp switch that can change from hot to warm in between sessions and an LED indicator light to let you know when power is on and when the tire is at temperature.